You can experience the work of the legendary photographer for free through Feb. 18, 2019. Gordon Parks is a seminal African-American artist, a trailblazer whose 60-year career featured photography, music, film, writing and painting. Parks is often credited with creating the blaxploitation movie genre, influencing countless African-American filmmakers with Shaft, released in 1971. In the National Gallery of Art's exhibit, Gordon Parks: The New Tide, Early Work 1940-1950 (on display through Feb. 18), you’ll have the chance to experience Parks’ pioneering photographic work, which features a trademark authenticity that laid the foundation for his time in film and still inspires photographers to this day. We’ve got even more reasons to check out the exhibit below. 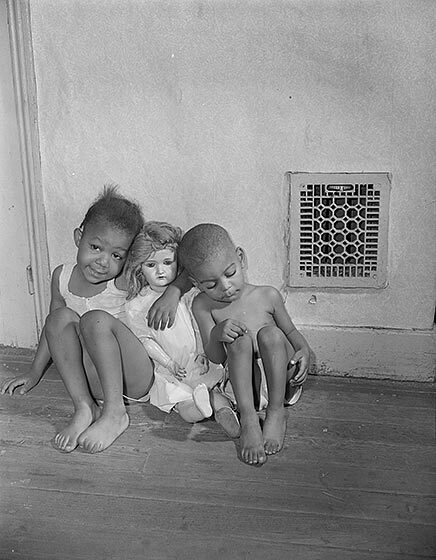 1 You’ll be observing the formative era of one of America’s greatest photographers. 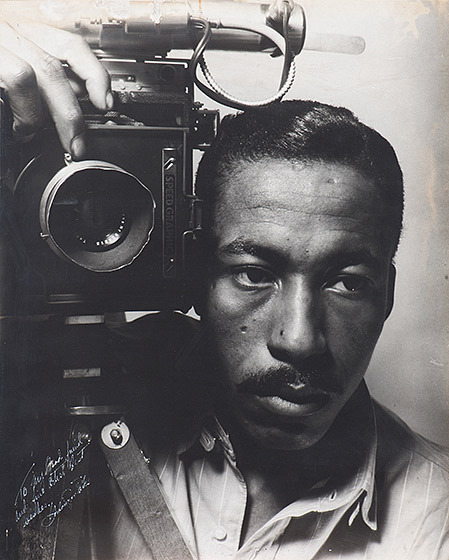 The decade surveyed in The New Tide saw Gordon Parks rise to prominence with a camera in-hand, perfecting his style and eventually shooting striking professional photos for leading magazines such as Life, which was considered the finest picture magazine in the world when it hired Parks as its first full-time African-American photographer in 1949. In the exhibit, you’ll see Parks’ work evolve from promising to pure mastery. 2 There are powerful photos of DC from Parks’ time here. 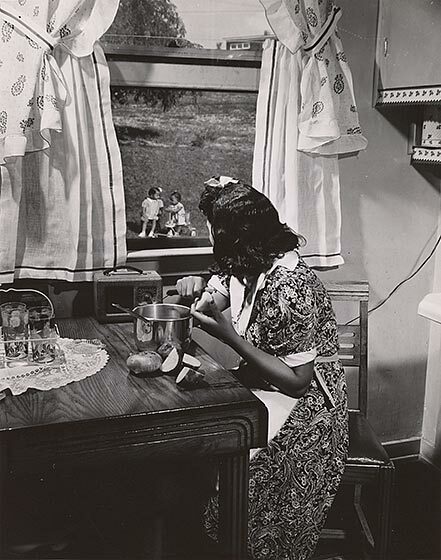 In the early 1940s, Parks was working on a photography fellowship for the Farm Security Administration (FSA) in the nation’s capital. Parks captured a thoroughly segregated city and the dire consequences felt by African American families. His intimate images, both candid and posed, showcase DC history in a way you’ve never seen before. 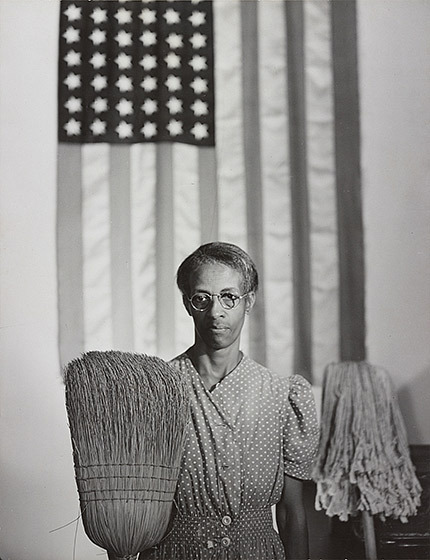 3 The exhibit features Parks’ famous series of photographs of Ella Watson, including American Gothic, Washington, D.C.
Ella Watson was a member of the cleaning crew in the FSA building where Parks worked and became a central figure in his DC photographs. Parks captured Watson’s home life and the struggles that her family faced. However, it was a solo photograph of Watson that became one of Parks’ milestones. American Gothic, Washington, D.C. is one of the exhibit’s most breathtaking pieces, a stunning image that riffs on Grant Wood’s renowned American Gothic painting from 1930. 4 Parks’ photographs showcase an America in transition. As Parks’ career evolved in the 1940s, America underwent drastic social and economic changes. The Great Depression was still affecting the nation at the beginning of the decade. America’s entry into World War II and subsequent victory both ravaged and united the nation, leading to post-war prosperity for some. Segregation victimized African-Americans all over the country. Throughout it all, Parks showcased the many sides of America, from the rural to the urban, from flowing rivers to winding dirt roads, from Hollywood actresses to men mining oil. The photos in The New Tide can feel like a summary of the United States during one of the most important decades in its history. 5 Parks captured some of the most important people of his time. During his travels, Parks photographed celebrities, artists and civic leaders whose influence still resonates to this day, much like his. 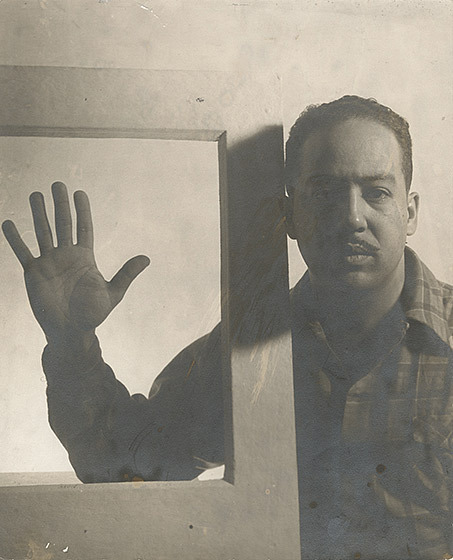 While in Chicago in the early 1940s, Parks photographed the famous poet (and one-time DC resident) Langston Hughes, images that you can check out in The New Tide. You’ll also see striking portraits of Ralph Ellison, Mary Beth McLeod and Richard Wright. One of the exhibit’s highlights is Parks’ photograph of actress Ingrid Bergman while she was filming Stromboli in Italy in 1949. At the time, Bergmann was escaping a media scandal surrounding her affair with director Roberto Rossellini. However, Bergmann trusted Parks, which led to a spellbinding image of the world-famous performer. 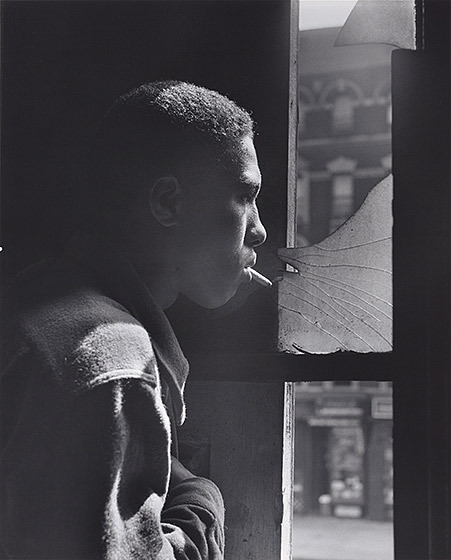 In 1948, Life published Parks’ Harlem Gang Leader, a collection of images that was the result of four weeks spent with Red Jackson, a 17-year old whose occupation served as the essay’s title. The New Tide presents riveting pieces from Harlem Gang Leader that show Parks’ compassion for his subject while also illuminating the oppression, anxiety and violence inherently present in Jackson’s life. In addition, you can see the photo spread as it was originally laid out in Life in one of the exhibit’s cases. 7 The exhibit doubles as a historical journey through a fascinating life. Gordon Parks’ life story is as captivating as his art. He grew up as the youngest of 15 kids on a farm in Fort Scott, Kan. and attended a segregated school. He faced the horrors of that policy and its inherent discrimination, encountering abuse from fellow students and discouragement from his teachers. Parks then worked an array of jobs across the Midwest, eventually deciding to take up photography while serving as a waiter on a railroad dining car. The New Tide guides you through Parks’ chronology, narrating how he rose from humble beginnings to a legend in the history of African-American art. 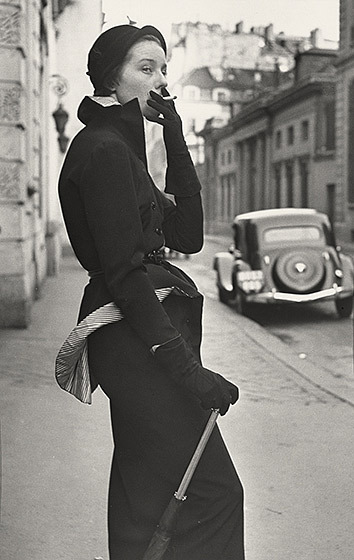 8 The New Tide features Parks’ fashion photography, which influenced the modern style. While much of the exhibit focuses on Parks’ civic photography, his work in fashion was also paramount. Throughout The New Tide, you’ll see portraits that were ground-breaking in their use of shadow and light, and in how Parks positioned his models. The photographer’s ability to subvert convention through every style of image was truly extraordinary. While you're at the National Gallery of Art, experience some of the most vital art in the world at this renowned free museum on the National Mall.